Extreme Newbie: Which violin to buy? Hello po. mega-newbie po ako, pero extremely interested sa violin. plan ko po bumili ng violin pero after my research, mas maganda pala yung may opinion ng mga marunong na. so ayun nga po. pero sabi ng dad ko mag canvass daw ako ng yamaha, pero parang wala naman nakabanggit around here na maganda yun for beginners. so ano ang masa-suggest niyo? nasa 8k po ang budget ko for the violin. plan ko rin po mag lessons kaya lang siguro after makapag settle na ako sa work. i'm also from Batangas so kung may alam po kayo na bilihan dito ng violin maliban sa SM, makatutulong po talaga. Well, mahal kasi ang yamaha na violin for entry level, compare sa mga Cremona, Bachendorf & Hofner. Minsan lang ako nakahawak ng Yamaha violin, superb ang finish nito at craftsmanship... as expected naman sa mga yamaha instruments. hinde ko lang nga masasabi tungkol sa sound nito dahil talagang zero knowledge pa ako noon sa violin. 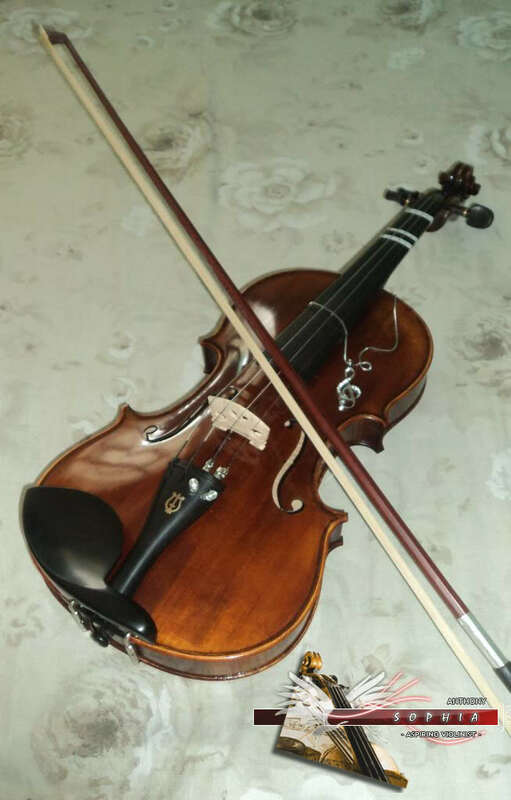 Search mo ung AV5 series ng yamaha violin kung interesado ka, tanong ka rin sa Yupangco[sila kadalasan nag bebenta ng mga Yamaha violin] pero mukhang kulang ang 8k para dito. Sa 8K, may makukuha ka na na magandang Hofner o Cremona. thanks po T@l Blaiser at clowreed11! If you would like to consider, I would suggest that you buy a used violin so for you not to experience the RAWNESS of a brand new violin: unplayable, hard to turn tuning Pegs, untrimmed bridge, etc.. So you I guess you might want to find a used violin that is decently Set up..
@jaepooh: aesthetics? galing lang ako kanina sa lyrics, JB & Sound essentials kanina, nag susubok ulit ng mga violin, hinde ako nagagandahan sa kahoy ng bachendorff na tig 13k-15k[Concert series] hinde buo ang kanilang mga flame sa back at neck, ung tig 19k na Hofner, medyo maganda na ung flame... kaso ang mahal na nito kumpara sa mga Chinese handcrafted na talagang magaganda ang kahoy na ginamit. Makinig ka kay Cute worm, hanap ka na lang ng 2nd hand na violin, nakaset-up na at ready for play kaagad. napaka agressive at ang tapang ng mga tunog ng bagong violin. Hahah. naku wag muna mag invest sa aesthetics. yung tunog muna, nakakfrustrate mag aral/praktis pag di mo maachieve yung gusto mong tunog. Just to add, I think 8k is a bit too much for your first violin unless you really have a lot of cash to spend. I suggest that you get a cheaper violin and spend the remaining cash on lessons. You can get the Bachendorff worth 5k.. Ive tried that one and it is decent enough for a beginner. Sa itsura naman, matte finish yun kaya hindi masyadong makintab..
Sa tunog, the default strings aren't very harsh.. Pero kung gusto mo masubukan ang lahat ng pinagdaanan namin, Go ahead, pero sana wag ka bumigay agad pag nafrustrate ka. Considering na malayo ang Manila sa Batangas para lang magparepair ng violin pag may di ka nagustuhan..
Mga sir,tanung ko lang po, worth it po ba yung 15k na bachendorff? salamat po sa lahat ng nag reply! nung pumunta po ako sa LYRIC, nag suggest sila sa'kin dun ng Bachendorff na 4500, pero dahil sale sila, nasa 4050 na lang. okay naman daw po yung sound, kasi may violin teacher na andun rin na nagsabi. Sa tanung na yan hindi kita sasagutin ng diretso.. Pero bibigyan kita na basis for comparison.. I own a Bachendorff Pro Series (Not the Concert Series magkaiba yun). The infamous 15k violin. If you asked me, I am very happy with it, and some fellow enthusiasts tell me it is very nice. Wala nga lang akong photo at the moment. It is a matter of preference, kaya hindi ko siya mai-recommend sa iyo on the basis of my own experience. Some would say it's because of the aesthetics, or dahil mabigat siya, etc. Before you buy this one, I suggest na you give it a try. Kung may kakilala ka na nagmamay-ari nito subukan mo muna. 15k is still serious business. Sayang naman kung hindi ka ma-satisfy. Wow, ganda ng finish/aesthetics. Ah sir between Bachendorff and Hofner na halos magkasing presyo siguro mga 10k above? Anu po mas sulit? @paulvg I own the exact same Bachendorff as Anthony. :) If you are going above 10k, I suggest you go for this one. Mas mahal kasi yung Hofner. You might want to consider Asking help and Buying Online for a good violin.. Maghihintay ka nga lang konti.. Check mine.. I got it for 12k+ including Customs Duties and tax.. If you are interested, you can ask help to the members to help you choose and assist you how to buy online.. Your budget is more than enough..
Nasulat ko na ito pero just to reiterate para di ka na mag back read..
ang ganda naman po parang si garfield. Mr. Kitty Flames. Thank you, I saw the links and isa lang ang masasabi ko. "Wow"
ang gaganda. I'll ask my lola to stretch the budget :D i'm eyeing for a pro+ series. We have an old violin down in the basement, judging by its current look, i don't think its playable :P. Its a gibson violin owned by my grandaunt. she used to play for London Symphony Orchestra in her younger years. family heirloom daw eh. its in a wood case, gathering dust, no strings din, and yung bow parang panot na matanda. sayang nga di inalagaan. after my research, mas maganda pala yung may opinion ng mga marunong na. What was the thought process and consideration parameters behind your research? If you can give us an insight into what data or information you have as it relates to what you want from the instrument and yourself, I think we can guide you better. 5-7k for expenses related to setting it up >>> since most violins will need some form of "polishing" after being bought. Especially if you buy one online or overseas (i.e. : OVH) and after a while of playing, you find the need to change chinrests, strings, shoulder rests, etc. I actually suggest deferring from buying a "pro" level instrument at this point. Your a professed "newbie" right? That being the case, an intermediate one would be more than sufficient. Why? Because your sense and taste in sound will mature as you learn. By then, spending on a more expensive instrument would be more cost-efficient, since you will have more "experienced" insights to help you along the way prior to purchasing. Its a gibson violin owned by my grandaunt. she used to play for London Symphony Orchestra in her younger years. Such a waste! You know, you might want to bring it to a luthier -- either kay Tamayo or Gabute -- if it was what she played with in the LSO. Or if it's beyond playable rescue, have it restored for posterity. It being an heirloom and all. It just seems so criminal to have it the way it is and where it is now...I hurt inside just thinking about it. I believe that's the one she used while being part of the LSO. It came along with some other stuff years ago after my grand aunt died (she never was married), I think my lola wanted it shipped to the Philippines back then. I got the their contacts form the Luthier's Thread. Will ask for the restoration price later.. If budget permits, I'll have it restored. If not, I'll stick with the orginal plan. @ 'H' Kittyback: GANDA NG VIOLIN MO!!! Hwehe! - Whhaahhh! Pareho kami ni Anthony kung ganon. Single back na maple din ba yan? - I have two of that kind but different in appearance. Bachendorff (high grade) violins are handcrafted. They are not exactly alike in means of looks and sound. I have two of them high grade bachendorffs and they sound way different from each other. Also, when I bought one of them 1st time, I had four of them laid on a table for me to test which has a better sound and I tell you, all of them had the same location of soundpost and the same height of bridge. I did the same the 2nd time I bought my latest violin. Even all the Stradivarius violin don't sound exactly alike as one of the articles that I read before said: 3 Stradivarius violins got tested and two of them were applauded. They audience thought, one of them was not a Strad. So there, not every handcrafted violin are exactly alike even if though have the same brand. So you still have to test it. Hehe! I also tried testing my violin against a Suzuki worth 47k sa LYRIC and a Concert Series. I had four audiences then. All of them told me that my Violin sounded better than the two. I'm not saying that mine is better but that was the result of being 'OC' in choosing the right one. 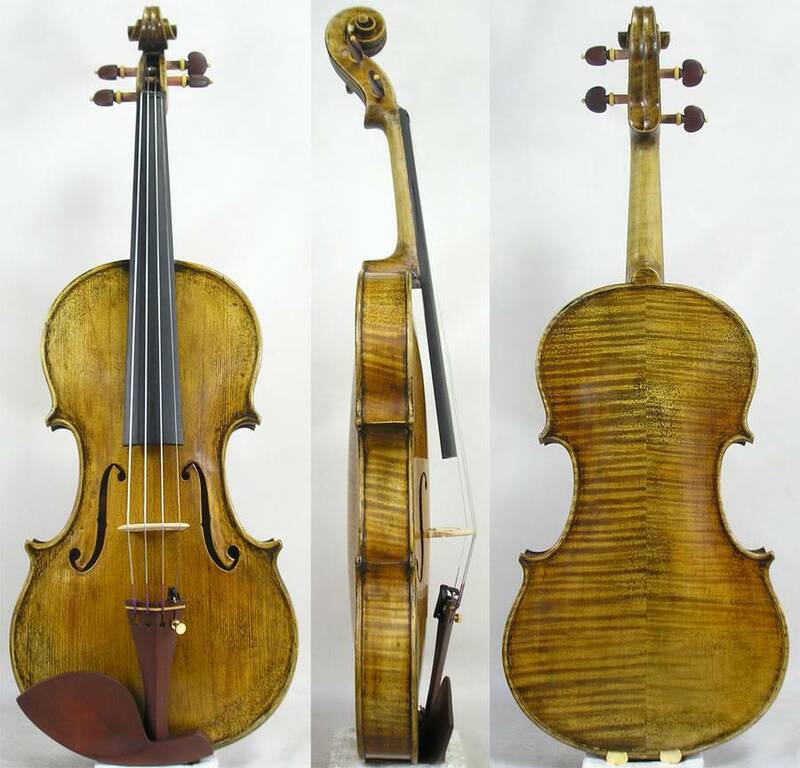 I even had it tested against a Strad copy worth 40k. The result was... what I never expected. =) Cheers! Hmm Gibson? May kilala ka bang Nicole del Rosario? Nicole Antoinette po ba? pinsan ko po siya sir. why? and magkano po yung violin at ano itsura? teka PM ko sayo yung picture at price. ahahahaha, hindi na siya nagtuloy mag-aral kasi. PM ko na lang po kayo tungkol sa violin na ibebenta niyo. Off topic na po ata tayo. Subject: Re: Extreme Newbie: Which violin to buy?